The Travellers Autobarn depot in Melbourne is in King Street in Melbourne, which is around 8.1km (7 minutes)from the Airport and around 14.8km from the City Centre. 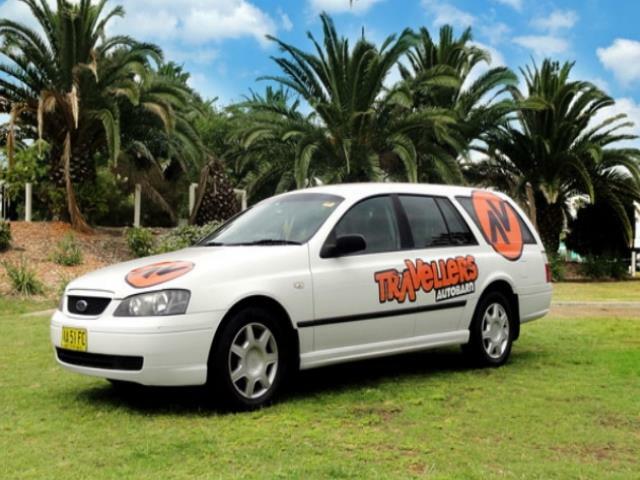 Book your Travellers AutoBarn campervan hire in Melbourne through Camper Travel. Specials and discounts all in. Best Price Guaranteed. Long and Short Term Hires. The HiTop camper hire, is thoughtfully designed vehicle that sleeps for 2 to 3 people. Functional cooking and storage areas included. Vehicle drop offs must be at least 1 hour before depot closing. No pick ups or drop offs are provided on Sundays and public holidays. Bus:There is a bus (482) which goes from Coonamar St/Sharps Rd. You will need to get off at Airport West Shopping Town/Louis St. From here you will need to walk to Matthews Avenue and take the Route 59 tram towards the City. Get off at stop 57-Hawker St. and walk for 2 minutes before turning right on Kings St. This journey will cost you approx. $5 and take around 45 minutes. Taxi: The best way to travel from the airport is by taxi. The journey will take you approx. 15 minutes and cost between $20-$30. Train: Take tram route 59 from Flinders Street Railway Station, Bourke St or Elizabeth St and get off at Hawker St. Walk for 2 minutes before turning right on Kings St. This journey will cost you approx. $4 and take around an hour. Taxi: A taxi from the city will take you approx. 20 minutes and cost you between $30 - $40. Closest Petrol Station: 53 Hawker St, Airport West VIC 3042 - just three minutes away. Closest Car Wash : 29-35 Louis St Westfield, Airport West VIC 3042 - just three minutes away. Closest Supermarket: Louis St, Airport West VIC 3042 - just four minutes away.